Matt is six years old when he discovers that he is different from other children and other people. To most, Matt isn't considered a boy at all, but a beast, dirty and disgusting. But to El Patron, lord of a country called Opium, Matt is the guarantee of eternal life. El Patron loves Matt as he loves himself - for Matt is himself. They share the exact same DNA. As Matt struggles to understand his existence and what that existence truly means, he is threatened by a host of sinister and manipulating characters, from El Patron's power-hungry family to the brain-deadened eejits and mindless slaves that toil Opium's poppy fields. Surrounded by a dangerous army of bodyguards, escape is the only chance Matt has to survive. But even escape is no guarantee of freedom… because Matt is marked by his difference in ways that he doesn't even suspect. In the beginning there were thirty-six of them, thirty-six droplets of life so tiny that Eduardo could see them only under a microscope. How had I not heard of this book before a few months ago? It seems as though everyone I speak to has already read it, and yet it has been avoiding my radar for the past few years. What?! 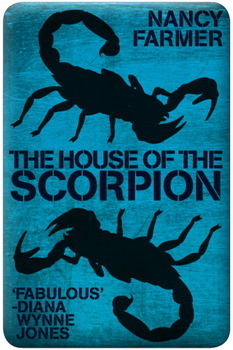 The House of the Scorpion is a great read. It’s about love and family, and how those two things make us human. It’s about rising up, and empowerment, and fighting your so-called destiny. I love all of those things, so I knew as soon as I picked this book up that this would be one for me. Add to that a writing style that reminds me of Neal Shusterman’s Unwind, and we have a winner. One of my favourite parts of the novel, if not my absolute favourite, was the relationships between Matt, Tam Lin, and Celia. Celia has raised Matt basically as her own child, although she was always very strict about him not referring to her as his mother. She gave him the love, care, and attention that all children deserve, and she was one of the few characters that saw Matt as a human rather than a clone. Tam Lin is the same. He is initially appointed as a bodyguard to Matt, but their relationship grows and strengthens in the best of ways, and Tam Lin begins to teach Matt about everything that matters. I also really enjoyed the character development that Matt goes through. He starts off as a sheltered child, until he is one day discovered by the children from the big house. From then on, The House of the Scorpion follows Matt as he goes from abused child, to arrogant and spoilt, to a scared boy, to a brave teenager… Nancy Farmer handles it very well, and I found myself becoming very attached to Matt. Even when he made awful decisions, you understood why he made them, and the consequences of those decisions. Some parts of this book are very distressing, particularly the way Matt was treated by those around him, as well as the “eejits” on the farms. Eejits, as those who rule over them have so kindly named them, are slaves with computer chips in their brains which basically turn them into obedient zombies. They are mostly people who have been captured while trying to cross over Opium, to try to get from one country to another. One of the questions this book asks is whether it is better for the slaves to have the chips, and live in ignorance but potentially work themselves to death while mindlessly obeying orders, to to be enslaved with their minds intact. Would you rather know what was happening to you, if there was no way out of this situation? I struggled to answer that question to begin with. But, the more I thought about it, the more I became sure that I would want the ability to fight back, even if it is hopeless. And then I start thinking about Spartacus and I get very emotional. What do you guys think? I don’t know whether I’m going to read the sequel, The Lord of Opium, or not. 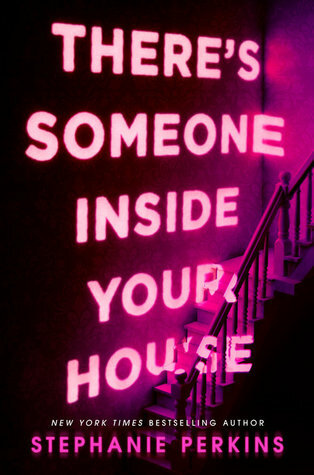 I received a copy for review, but I feel like The House of the Scorpion ended perfectly, and while the ending was left open enough for more, it’s not really necessary. I loved The House of the Scorpion as it was, and considering some of the things that I have read about The Lord of Opium, I just don’t think the sequel would add anything. However, I’m a very curious person, so who knows? I’m a little sad to leave this world, but The House of the Scorpion is a fantastic standalone that I would recommend to everybody. I loved this book so so much, and I am so happy it’s getting a second part. I plan to review it soon as well. I read The House of the Scorpion fairly soon after its release over tenish years ago, so the resurgence (due to the sequel, I suppose) is surprising but also makes me happy. I loved this book. I loved the ethical dilemmas it presented, its view on a bleak futuristic society. I don’t think I was even a teen when I first read The House of the Scorpion, so I am sure certain aspects went over my head. I was initially excited by the idea of a sequel, but now I’m not so sure. I *think* the first book ended well, and there’s nothing worse than having your memories and a good book tainted by an unnecessary follow-up. I’ll have to think about it. 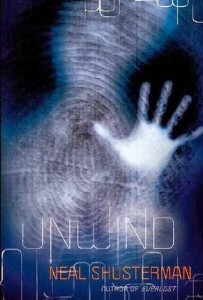 So…this is one of those YA SF/F books that has always lurked right at the edges of my…brain. Yeah, my brain. I think I’ve seen a lot of positive stuff regarding it, but I never paid attention to it until now, because the other cover I saw looked trashy and olllld. BUT. #1 THIS SOUNDS SO GOOD. Amberrrr, if I don’t like this as much as you, did, I will have a sad. Family and love and thought-provokingness. 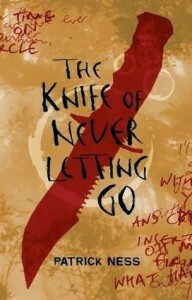 #2: you compared this to Neal Shusterman and Patrick Ness (!!! ), so OBVI this is great. Hmmm, I’ll be curious to see what you think of the sequel if you read it. Will you read it? Some of the things Matt did in it are O_O. And I think in a bad way, but maybe it would work better coming right off of this one? I don’t know. I need to be really skeptical of those authors who write a sequel where one was obviously not originally intended.